Are you shopping a lot this weekend? I haven’t YET! We will see. Today I’m sharing fun gifts for the home. Everyone likes those! 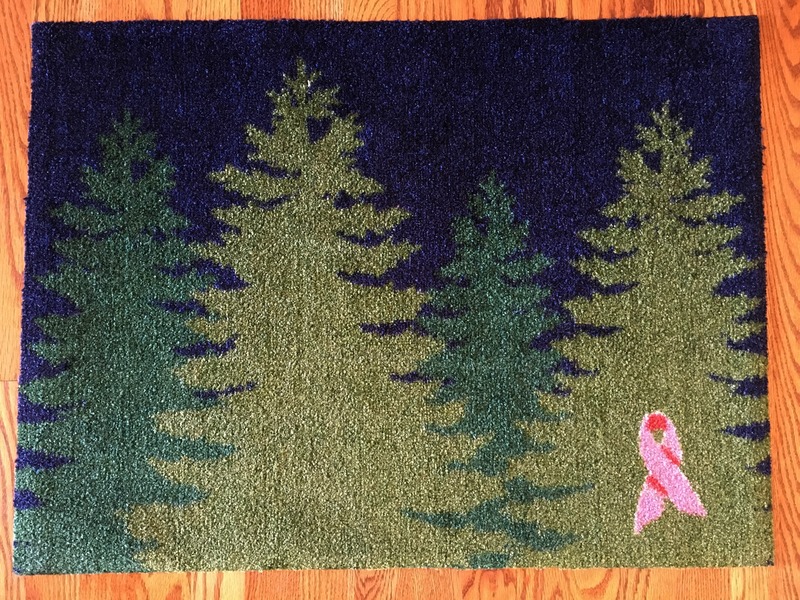 I love changing up my welcome mat for the seasons and so I am happy to have found out that Carpet One Floor & Home has created door mats to help fund breast cancer with their pink ribbon designs. Yes 25% of the mat price goes to fund the Breast Cancer Research Foundation! So far, the campaign has raised nearly 1 million dollars for a variety of breast cancer research charities. That is GREAT! Choose from 20 different rubber-backed welcome mats in four themes – Farmhouse, Modern, Classic and Bohemian. All USA made. I think photos make wonderful gifts! It always brings a smile to their face. Make it easy this year and order online at Collage with their deeply discounted prices. There are a TON of gift options including ornaments, pillow cases, coasters, grocery bags, magnets, mugs, pillows, even gift wrap! Upload one of your photos to almost any size and shape and design. Then decide what you’d like to do with it. Make a print? 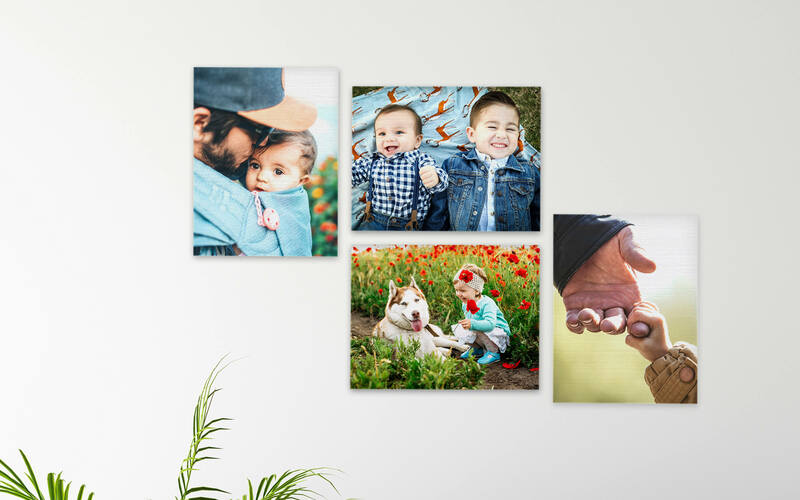 Create a wall art display like the picture above? Put together a photo blanket? It’s easy and fun to customize! Need help making your photo pop? Choose from a template, a background, even add text. The options are endless! I love love love fresh flowers and often buy a bouquet just to sit in the middle of my table. Many times though I have nothing and my table is bare and my room is sad. ha! 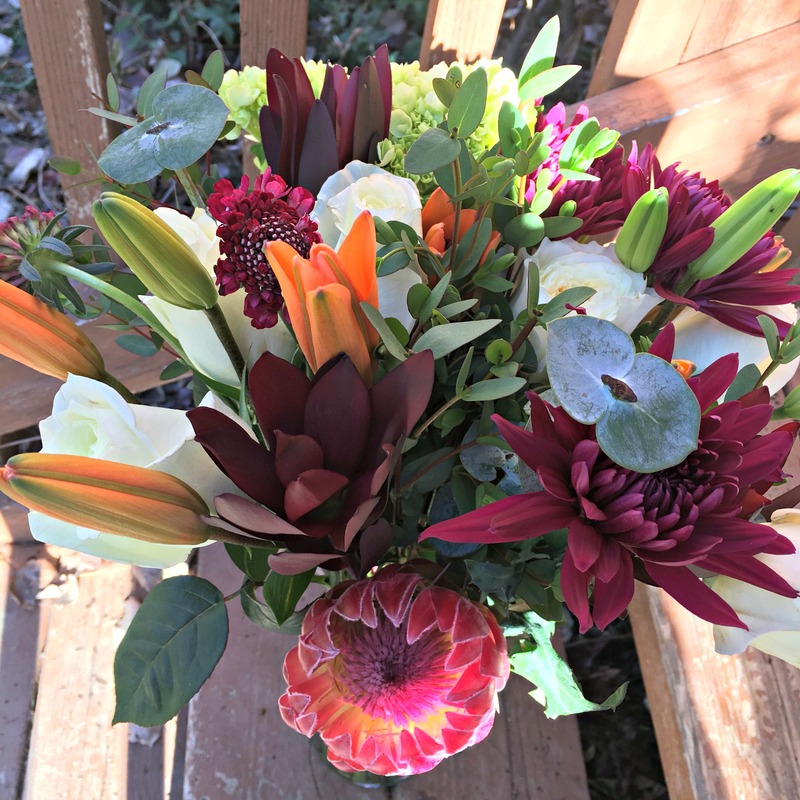 Enjoy Flowers is a subscription service (though you can get or gift just one bouquet!) where flowers automatically come every month or twice a month. What a FABulous idea! You get to choose your style and size of bouquet to match your taste. My bouquet above arrived very secure in its box. Inside was the most beautiful display! Just look at them! They looked gorgeous for my Thanksgiving feast and I for one could not stop talking about them. Everyone wants flowers for gifts! If you look at my window ledge you will find a row of succulents. I’ve slowly been collecting them when I come across one I like. They are cute and very easy to take care of. Succulent Studios is right up my alley! Each month 2 plants arrive in the mail. They are hand selected and fit the season, plus are already planted and ready to go! Did you know these tiny plants are GOOD for you? They produce oxygen and help cleanse and dehumidify the air! 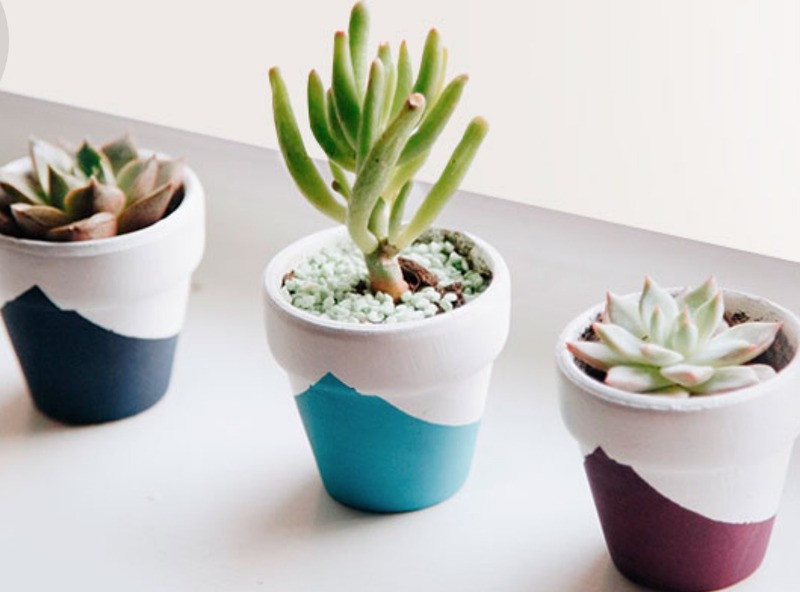 These succulents are grown in California using only organic media and fertilizers which is awesome. I haven’t received mine yet, but will update you when I do. Can’t wait! A wonderful gift don’t you think? What Gifts for the Home do you want? Welcome-A-Cure Mat of choice, 8×10 Collage print, Enjoy Flowers bouquet, Succulent Studios box of 2. I partnered with these brands who sent these products for free for this Gifts for the Home post. All opinions are my own and Amazon links are affiliate. This giveaway will end on Dec. 6, 2018 at midnight MST. Winners will be drawn via rafflecopter. Once a winner is drawn I will contact them and they will have 48 hours to reply before I draw a new winner. Giveaway is open to anyone in the US. You must be 18 years of age or older. Giveaway is not affiliated with Facebook & I release them of liability. Winner will be posted in the rafflecopter widget. I would love all of the items but the Canvas print or welcome mat would be my favorites. I would like to have new lamps for my family room. On my wish list is a canvas print! I also need a new buffet cabinet. I've always been a big fan of succulents! These ones are so cute! I want this lounge chair from Costco that I just saw at a relative's house. Succulent Studios sounds so neat! I am really impressed with the Enjoy Flowers bouquet. I would love to have flowers like that in my home. I have new powder room rugs and a new comforter for my bed on my want list currently. I would love an Instant pot. I want a rug and a coffee maker. SO many little things I want to replace or just need to get one. I'd like to get a dog and cat garden statues. I want to get new rugs for my living room. I had a chance to get enjoy flower bouquet before and they are wonderful, so I would choose those first. All the prizes are nice. I need so much, need to start in kitchen, new flooring and rugs. I'm needing some pillows for my Living Room and towels. Oddly enough I do have a welcome mat on my list. I'm also wanting a Dutch oven. I am hoping for a new area rug. The succulent plants are so low maintenance. Love these. I'd put them in my office at work. We are shopping for new bedspreads for all of us! Oh I love those succulents!!! So sweet! I would love a few more canvas prints for my walls, and also a porch Christmas tree! I love floral and/or plants. Makes it homey! I want a purple air fryer. I don't know why purple but I have seen a few online and now it is purple only, lol. I needs some new lamps for my living room. I would love to turn a bedroom into my home office so I would start with some throw rugs,a lamp,computer desk,etc,I'm starting with an empty room with endless possibilities. A new rug and the Canvas Print are on my list. My husband surprised me with the Ninja Foodi as an early gift :) The lovely succulents are always welcome in my garden! I'd love some plants, area rugs and throw pillows. I would love new kitchen rugs! I would love to get some new lamps for our home. New couch is on my holiday dream wish list this year. I want to learn how to successfully grow Succulents! I tried this past Summer without success! I would like a new faucet for my kitchen sink. Warm, plush and beautiful throw for my sofa in the family room. Something to keep me warm while I watch TV on cold winter days. I have plans everywhere so i love the succulents. Of course i want everything. But my first choice would be the Christmas tree welcome mat. It's really cute. I would like some Christmas throw pillows. Would love new door mats to liven up the entry. I want a new bed frame for Christmas - You listening Santa? I would like to get a new vacuum for the house this year. I really like all of these items. The canvas is my favorite. I would love to have a new sweeper. My old one is just about shot. I need a new front door mat. I would love some new lamps. I’d love a new area rug and a few new accesso accessories for our mantle. I would love some new doormats and kitchen towels. I really love the succulent pots! I need one badly. I'm in need of a new vacuum this year... too many options now which makes it hard to choose. I really want a new computer chair for Christmas and a dishwasher mine broke. I would like an essential oil diffuser and a storage ottoman. I have an air fryer on my Christmas list this year. I would love to have new pillows for the beds, the sofa, body pillows....if it's a pillow, I want a new one to replace it! A few things on my list: a couple of pretty succulents, a salt lamp, an essential oil diffuser and oils, and a table lamp. I would like an iRobot Roomba! What wonderful gift ideas for others and my wishlist. I love gifts that give back and the mats and beautiful. I think my favorite would be the succulents as I cannot keep plants alive but succulents are the best. Plus they remind me of my grandmother and great-grandmother, we always had them when I was little and they would call them hens and chickens. I have no idea why and I think out of Interest this sparked me to look it up but regardless all of the gifts are amazing and happy holidays to you and your entire family. I would love to have a new vacuum or new blender for Christmas! I always love more pictures of the kids. I recently began collecting succulents also, so those would be great for me! I would love to really have a beautiful home for Christmas. Lots of color. I'd love a teapot and french press for all of my caffeination needs this year! I would love some succulents for around the house! We really need to get a stand mixer for bread and cheesecakes. I love receiving, and need items for the home like dish towels, plants are always welcome and so are pictures of the grandchildren. I don't have a list this year, but I love the succulents! They are adorable! I'm hoping for new towels and an immersion blender. My wish list for the home includes a kitchen island. Like one of those cute rolling stands with a wooden top and space underneath for baskets. I have some decorative trays and bowls on my list. I would also be very excited to get some cute little succulents! I'd love to try the Air Fryer. Cute succulents!! I'd love to get an air fryer for my home. A new welcome mat would be helpful! Ours is wearing out! I'd love a chalkboard for my kitchen too! It's not fancy, but an extra freezer so that I can go back to doing baking for the holidays is on my wishlist. I would love to brighten my home with plants like the succulents. I really don't have anything on my wish list! LOL We could use some succulents in our home though. I just don't know if I can keep them alive! I already got something- a 'Hope' bowl from Trades of Hope. We are trying to convert a school bus to an RV for full time travel and the kids named her Hope. It's a project. I am hoping we can be in her by Christmas. I'd love a new bed! I would like some more Christmas decor for the holidays. New vacuum and bathroom towels. And, if someone wins the lottery, a king-sized non-toxic mattress! We entertain a lot (my husband is a diplomat) and it's always super embarrassing that I don't have a nice coffee/tea serving set. So that's on my wish list. It just looks horrible to have this giant glass coffee pot sitting on our coffee table. I'm not a huge fan of "fancy" things, I just want a nice plain ceramic coffee set! I would like some new dishes! I could use for my home, some new pots, and also a few throw rugs. I'd like the romba auto vacuumm for my home. I would like to get some more greenery like the succulents and also a microwave would be some items on my wish list. My daughter loves succulent plants! Candles are always on my list! Sheets, throw pillows for the living room and towels. I want new rugs and an air fryer this year. Oh sheesh I feel like a whole lotta stuff has to be done to this household. Maybe redoing our kitchen. It needs it the most! Solar lamps for the garden, they look beautiful and are green. I'd love to have some new plants for our home. The unique and colorful low care succulents are a great choice! I want new family photos to hang up! I'm going to look for a coffee mug tree to keep on my countertop. I like looking for items on Amazon. I'd love some plants and a couple of lamps for my family room. My oldest would like an area rug for his room. I need some new bath towels and a few artsy pictures would be nice. Gosh, they are needed, but too expensive to be on a wish list: a dryer, a stove, a new mattress. Thanks and God Bless! I need a new lamp and rug for my den area of my home. I would love the little plants on my Christmas list. One on my list this year is a new rug for the kitchen. I like the succulent studios plants for my house. I would like a new area rug for the living room. The canvas print would be my favorite because I don't have one! SUPER long list as we have doing a total home renovations. Gut job, all appliances, tile...roof...everything. I want throw pillows and a throw for the family room. A new Bookshelf-all wood-is on my list! I really want an air fryer! They sound amazing and so much healthier (and less messy) than a fryer. Pictures of the kids for our newly painted living room wall. I'd also love a bookshelf. I want some new candles holders and candles for my living room and bed room. My wish list for Xmas includes a new recliner for my living room. I would love the canvas print! A new set of rugs for my kitchen would be most excellent this holiday season. I really want to get a leather sofa, but I want it to be a sleeper sofa. They're so expensive, though, so I am saving a bit each week toward it.